Spring is coming and we must celebrate!! Although it’s a little difficult right now with all this snow on the ground. But let’s think positive. I have a new class in the mail for you. 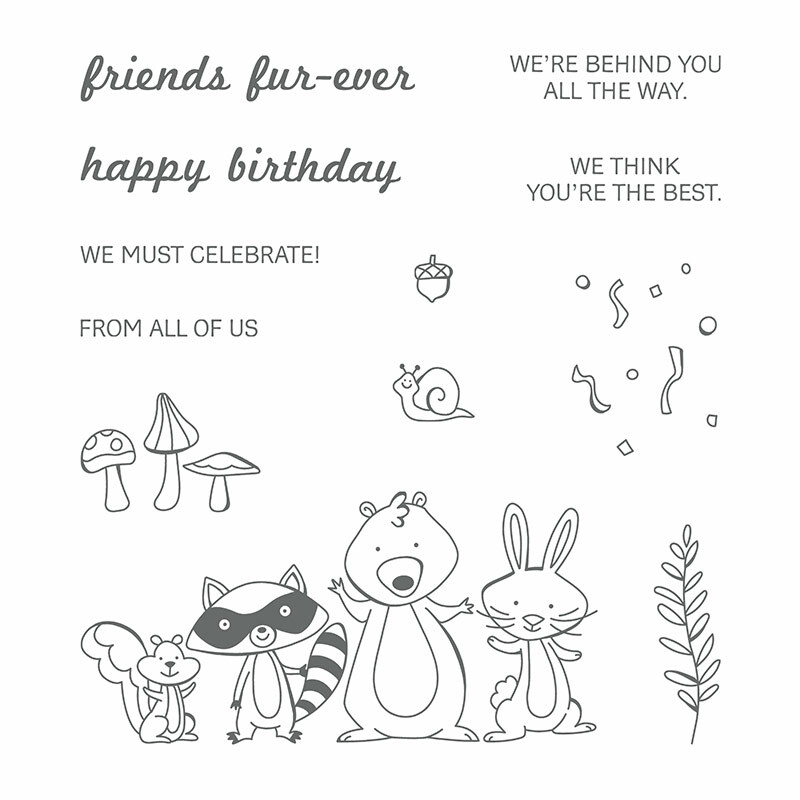 This month we will be highlighting the adorable woodland creatures in the We Must Celebrate set. How cute are they?! I have chosen 4 different cards featuring each one of them. You will fall in love with them! And they will be sure to bring a smile to the face of everyone who receives a card you’ve made with this set. 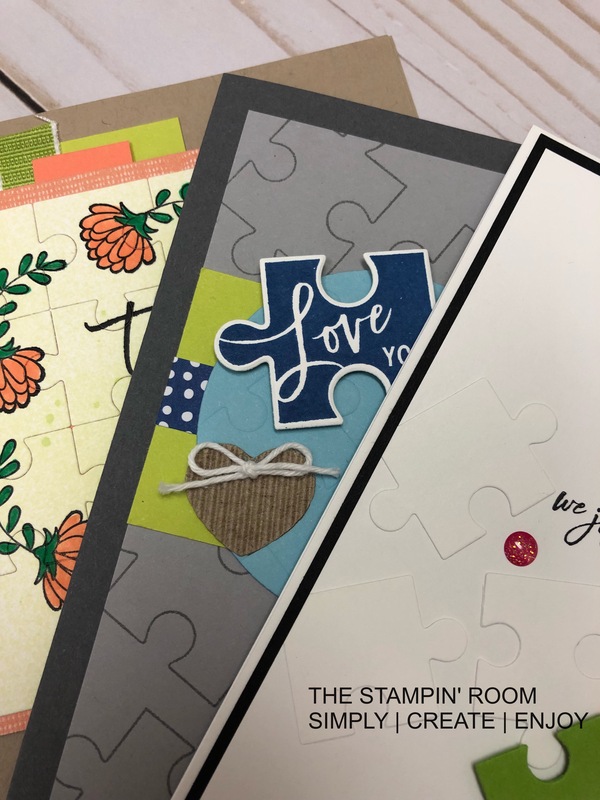 You purchase the class…I pre-cut all the supplies and put together project packets and mail them to you (or arrange for pick up). Then you will receive an email with a .pdf that includes pictures and detailed instructions on how to create the 4 projects. 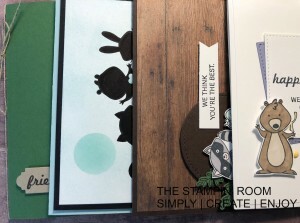 You do the stamping and these cute creatures do the celebrating! 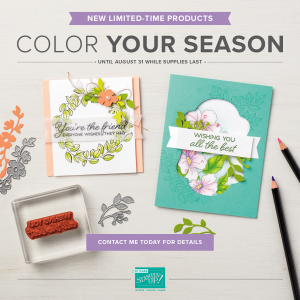 There is minimal coloring on these cards so you will need to have something on hand. 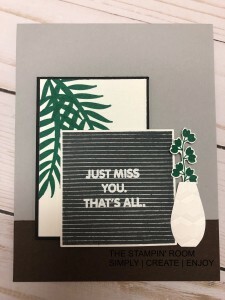 I used the Blends Markers and our Stampin’ Write Markers, but you could use whatever method you’d like. 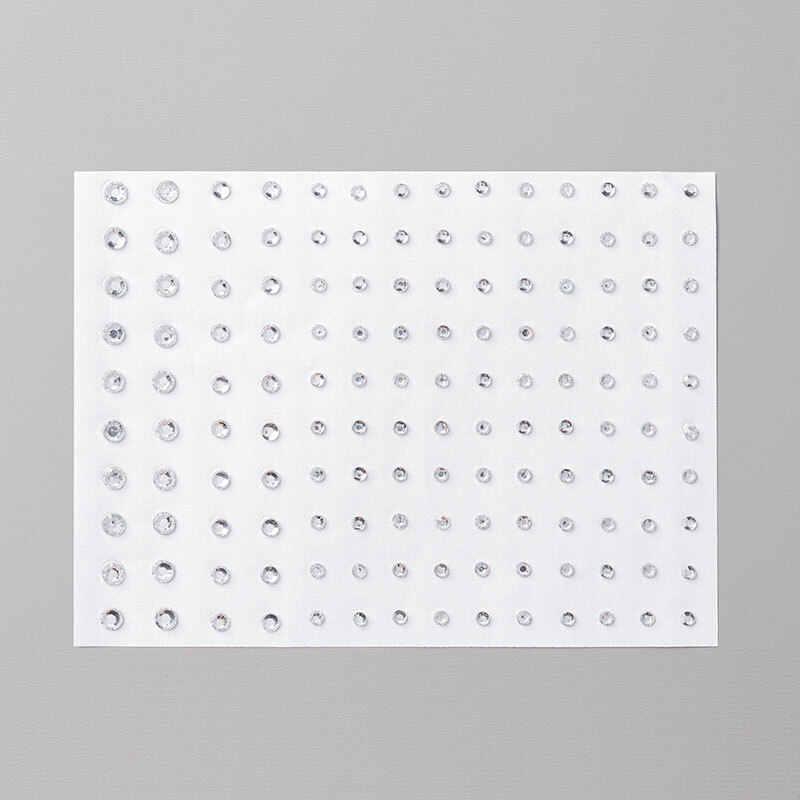 If there are additional punched or Big Shot pieces needed, they will be included in your class packet. 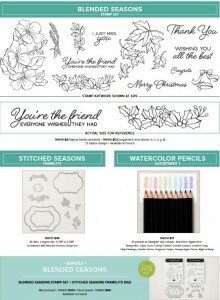 Order your We Must Celebrate Class in the Mail today! Deadline to order is Monday, March 19th). Packets will go out during the last week of March. And they will always include a bonus treat from me. 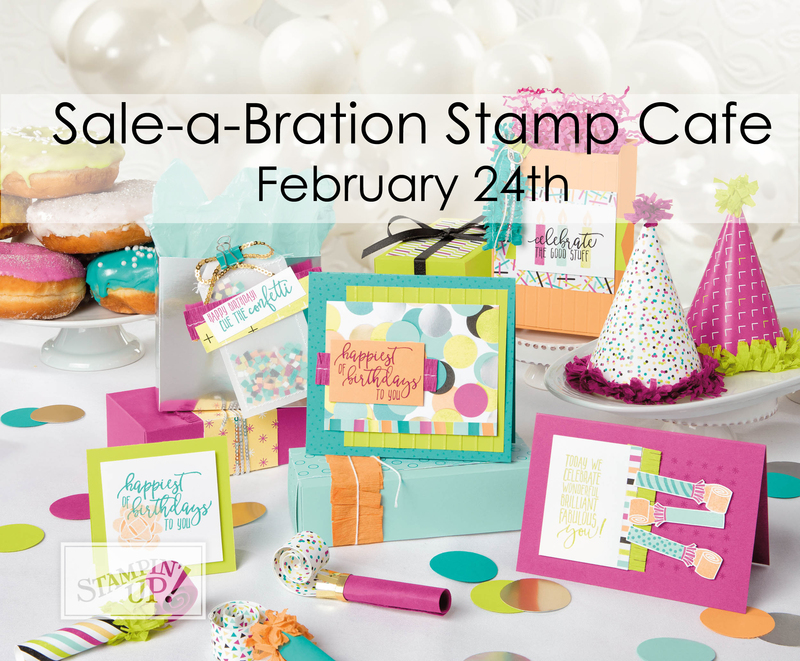 If you simply want to place your own order during Sale-a-bration, there will be a free gift with online orders over $50 through my store. It’s simply another way of saying thank you for your support and for sharing my passion for creativity. Be sure to use the hostess code and provide me with your name and info. (If you click NO CONTACT, I will not be able to see who ordered, and then you will not receive your free gift.) Thank you. I will be giving away a sparkling package of rhinestones. Thank you to those who purchased the January Class in the Mail. I had a lot of fun putting it together! This month’s Class in the Mail will feature the Tutti-frutti Suite. 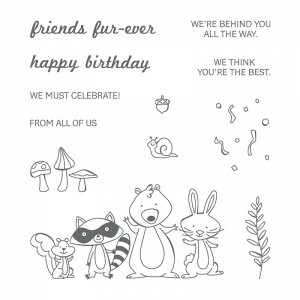 It has cute images and vivid colors designed for simple stamping. Check out the whole suite on pg. 28-29 of the Occasions Catalogue. Here is a cute sample I recently received in the mail. 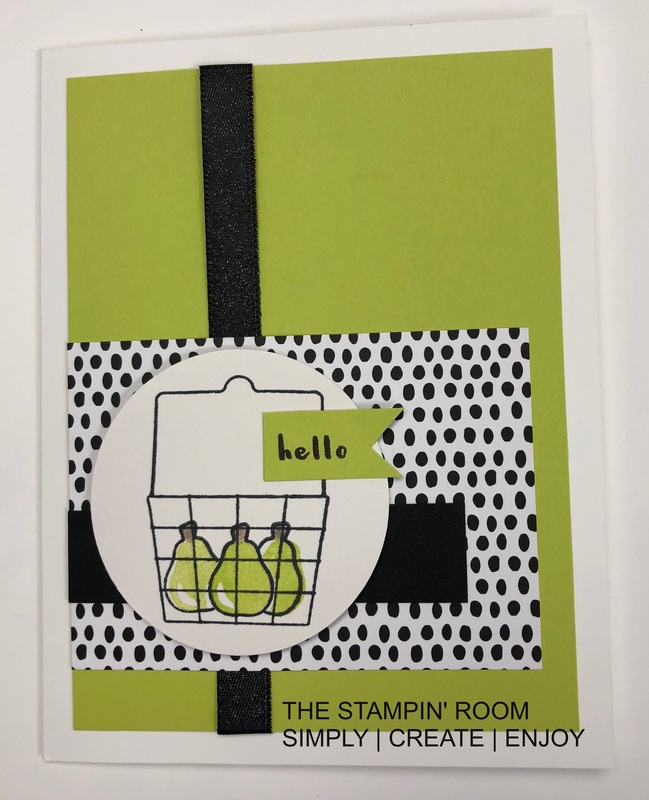 It could quite possibly be one of the cards included with this class:) Lemon Lime Twist is just such a happy color…and when you pair it with Basic Black, it’s stunning! 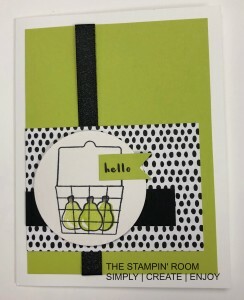 February Class in the Mail – Fruit Basket Bundle This bundle includes an Itty Bitty Fruit Punch Pack. 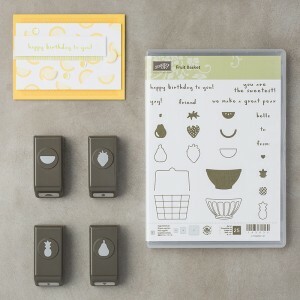 The punches are absolutely adorable and very easy to use. 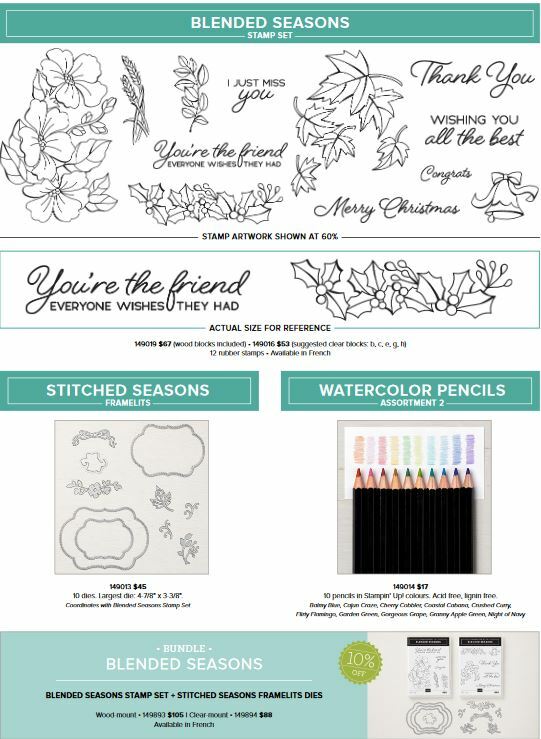 You will need to use your own new bundle plus inks and adhesives you have at home to make your projects. 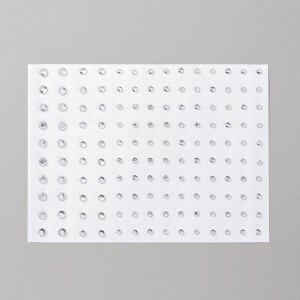 If there are additional punched or Big Shot pieces needed, they will be included in your class packet. You will receive the coordinating FREE Sale-a-bration item Tutti-Frutti Cards & Envelopes. 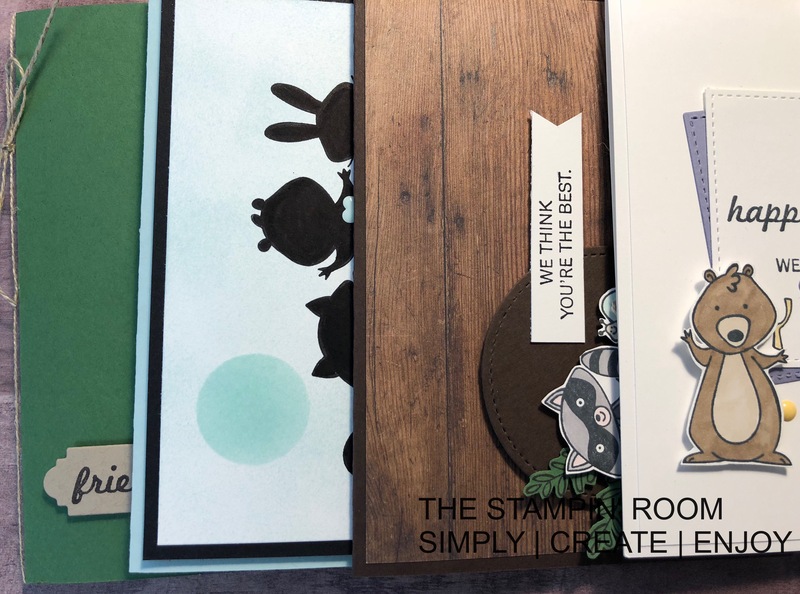 Your supplies will be cut from your package…and there will still be PLENTY left over to create more! Order your Tutti-Frutti Class in the Mail today! Deadline to order is next Friday (Feb. 16th). Packets will go out during the last week of February. 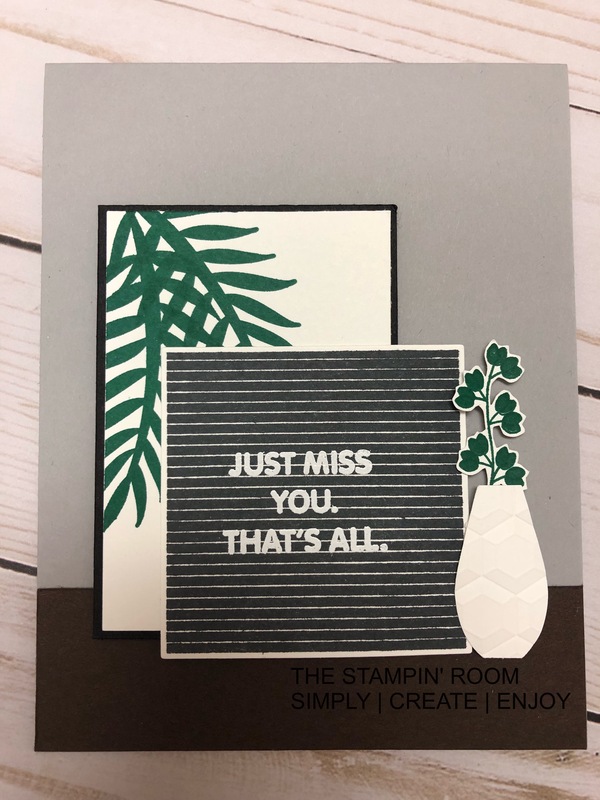 Twice a year I co-host an all day stamping event. The next one is Saturday, February 24th. You won’t want to miss it! There is still time to register. Payment & registration due by February 10th! 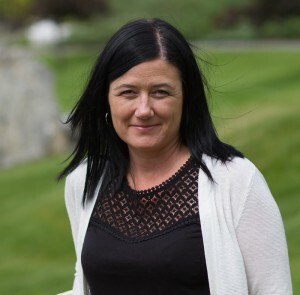 Class fee is non refundable, however, can be transferred to another guest. 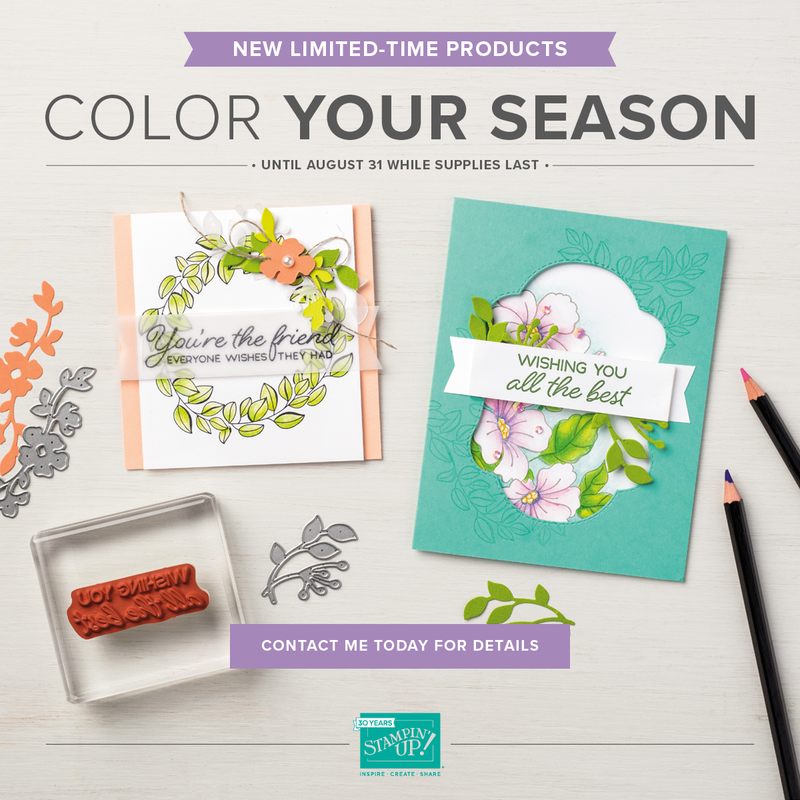 All month long, product orders can be placed in my online store HERE. All orders over $50 will receive a gift with purchase. Thank you for checking in today! Hope to hear from you soon.